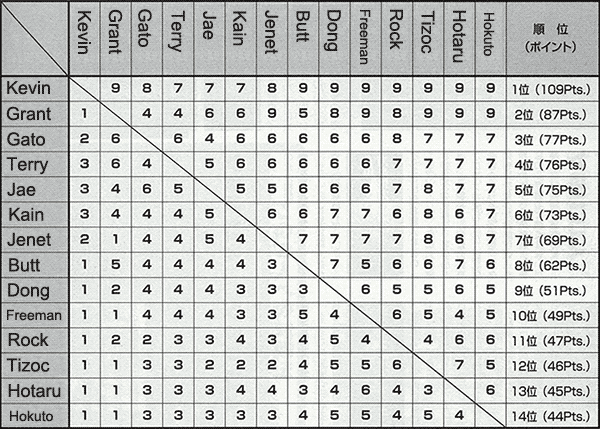 Check the image for the Garou matchups chart from Arcadia magazine #1 in June of 2000. Opinions may have changed in the intervening years but Kevin still dominates. 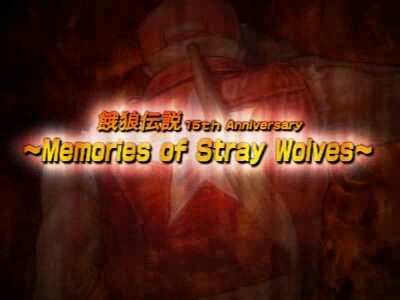 Memories of Stray Wolves is a 20 minute DVD special released in the Garou 15th Anniversary Box Set. 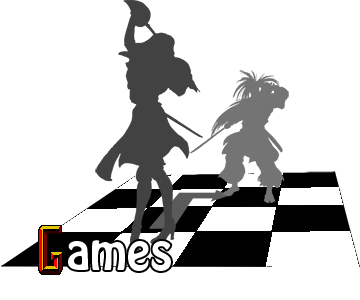 Using still art and gameplay clips it recaps the entire series' plot via character monologues, predominately by Terry. 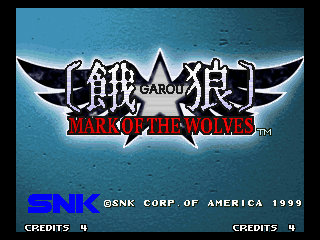 Noteworthy for providing a MOTW era look at Blue Mary, Duck King, and Richard Meyer, it also canonizes Wolfgang Krauser's post-FF2 suicide, a plot point previously only touched upon in the Fatal Fury 2 animated film.